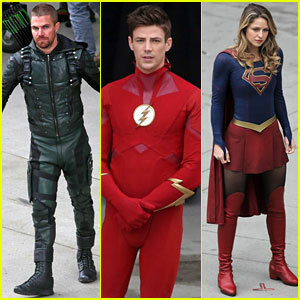 Stephen Amell, Grant Gustin, and Melissa Benoist don their superhero suits while shooting new scenes for The CW’s Arrowverse crossover event! 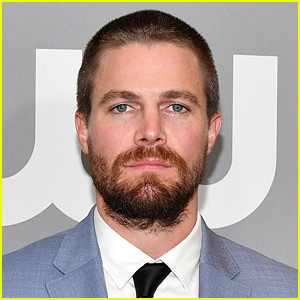 The actors were all spotted on set on a chilly Wednesday (October 31) in Vancouver, Canada. 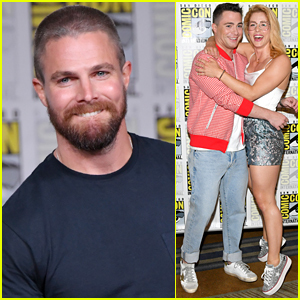 They were joined by their other co-star Tyler Hoechlin. 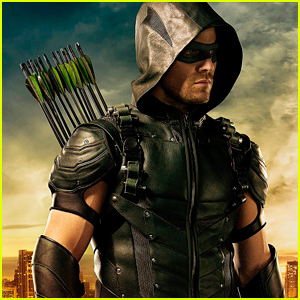 Stephen portrays Green Arrow, Grant plays The Flash, Melissa stars as Supergirl, and Tyler portrays Superman. 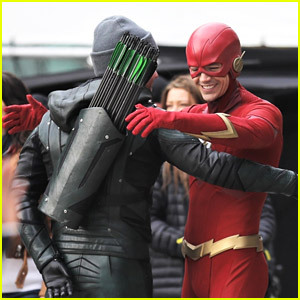 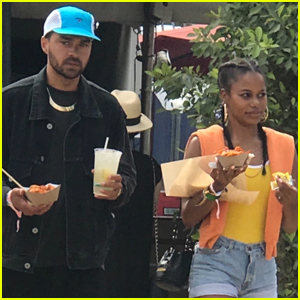 Tyler showed off two different suits on set, one of them black, which some reports suggest may be an indication that the superhero turns evil. 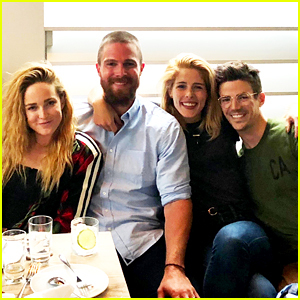 The darker Tyler had Grant in a choke for one scene! 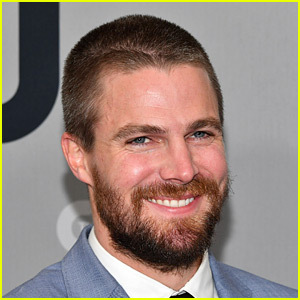 The crossover, titled Elseworlds, will also introduce Ruby Rose to the franchise as Batwoman. 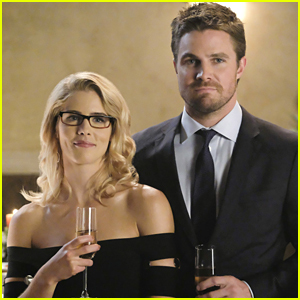 The event is set to begin on December 9 with The Flash, continue with Arrow on December 10, and conclude with Supergirl on December 11. 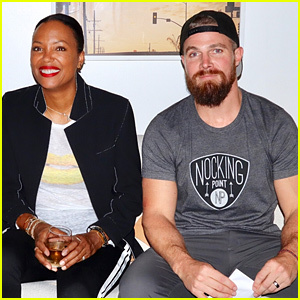 Stephen Amell Launches Aisha Tyler's Special Nocking Point Wine at a Fan Event! 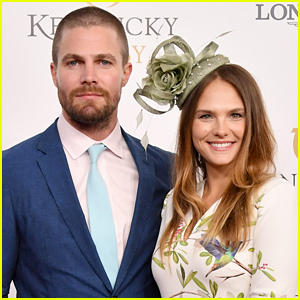 Cassandra Jean, Stephen Amell's Wife, Joins Arrowverse for DC's Crossover! 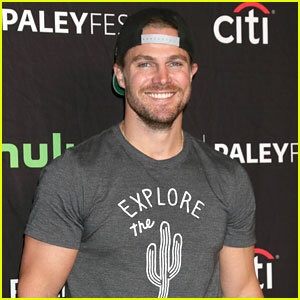 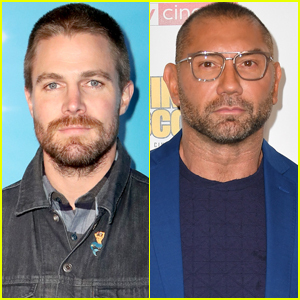 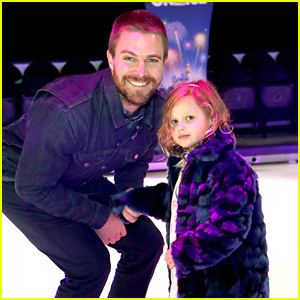 Stephen Amell Goes 'All In' for Wrestling Match - See the Shirtless Photos! 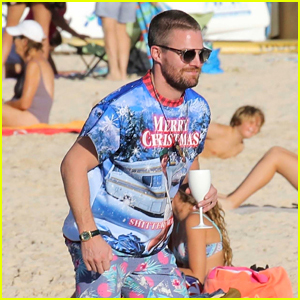 Stephen Amell Strips to His Birthday Suit for Poolside Photo!